We've been online booksellers since 2001 and continue that business at RareNonFiction.com. Over the years we discovered a growing passion for vintage magazines so launched VintageMagazines.com, a site dedicated to helping connect people with back issue magazines. We offer a substantial online inventory plus thousands of issues not yet listed. We are very interested in preserving the rare and valuable content contained in our magazines. That's why we painstakingly go through almost every magazine we list page by page to describe its contents for you. This information can then be searched by keyword or author to discover information which otherwise would be irretrievable. As we approach 10,000 successful online sales we are thankful that the internet allows us to make a living at something we enjoy so much. We think you will share our joy when you receive your wonderful magazine! With all the millions of magazines printed over the years it is impossible to stock them all. 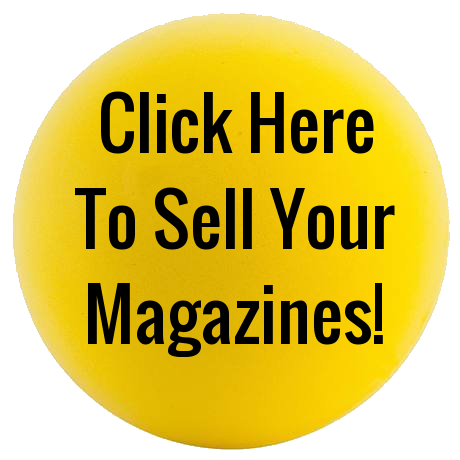 Therefore, in addition to our online listings, we also offer a magazine search service. Over the years we have developed various references, techniques, databases and contacts which often allow us to find what initially seem to be "impossible-to-find" issues. While we cannot guarantee success, we treat every search request seriously and will continue to watch for your magazine to surface if it is not presently available. There is no charge for this service, aside from the purchase price of your magazine if we find it. Please call toll-free 1-877-660-6118 or email to discuss your need.